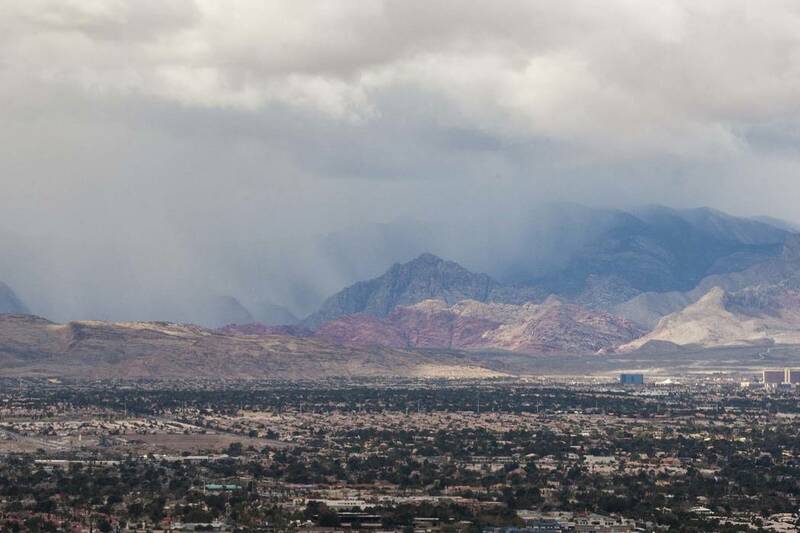 Highs in the Las Vegas Valley will fall into the 70s over the weekend, and there’s a chance that rain and gusty winds are on the way. Friday stayed dry and partly cloudy, reaching a high of 80 degrees, the National Weather Service said. There’s a slight chance for rain Friday night through Saturday, most likely in the south and east sides of the valley, the weather service said. A cooling trend will kick off on Saturday with a forecast high near 79, the weather service said. Winds will pick up on Sunday, when the high for the day will drop to about 72. Monday should be dry and sunny with a high near 70, the weather service said. That will be the end of the cooling trend, with Tuesday’s forecast high rising to 75, and Wednesday at 76.